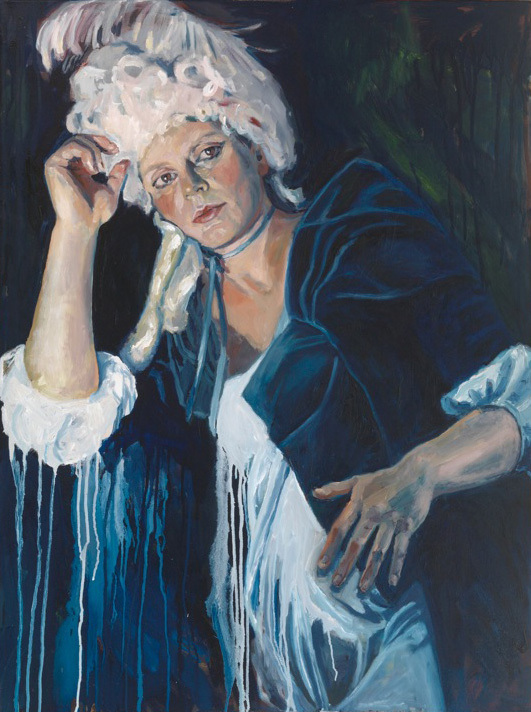 "The women in these paintings paid the highest prices for their “transgressions”. We don’t have to, and the very least we can do is raise a glass to them in all their bad, wild, brave, magnificient glory." The House of Fallen Women depicted infamous women from history, represented by well-known, modern day, public figures. 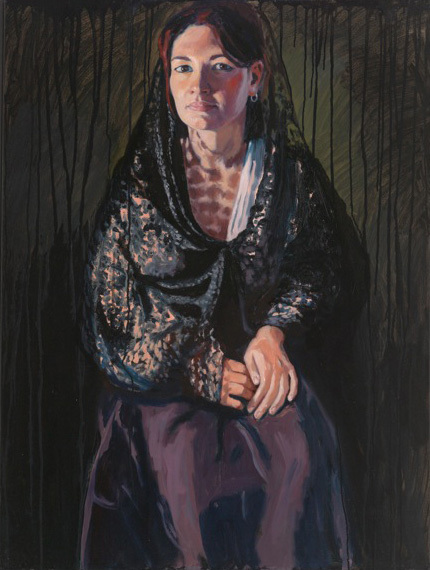 Shown at The House of St Barnabas in Soho, a Grade I listed Georgian mansion formerly a home for destitute women, and curated by Medeia Cohan-Petrolino, the paintings confronted historical feminine stereotypes. The women depicted inspired outrage, envy and fear whilst defying the rules of their times. They rose to great heights, but were vilified for the same ambition, sexual freedom, cunning and influence that their husbands, fathers and sons were admired for. Caitlin Moran posed as notorious courtesan Kitty Fisher, Annie Lennox as Elizabeth I, actress Emilia Fox embodied Marie Antoinette, environmental campaigner Jo Wood as Madame de Pompadour, while writer India Knight sits as Catherine de Medici, Elle Editor Lorraine Candy channels Lucrezia Borgia, Pattie Boyd sits as Boudicca, Nicole Farhi as Medea, Laura Bailey as Guinevere, and Cherie Blair as Eleanor of Acquitaine…to name a few. A luscious palette, the sensuous application of paint, and the unequivocal ability to capture the emotion of her sitters distinguishes Instone’s work. Alongside the lush oil paintings, Instone created an exquisite series of Victoriana miniatures and large silk screen prints. © All content copyright Alice Instone 2016. All rights reserved.